The events goal is to raise awareness for adaptive sports, also known as parasports, in conjunction to the Invictus Games being held in Sydney this October. The Invictus Games, as you may know, is an international adaptive multi-sport event in which wounded, injured or sick armed services personnel and their associated veterans take part in parasports. Teams come from all over the world, including one from Australia. Past games have included Paralympic sports of athletics (track and field), swimming, and paratriathlon. There have also been wheelchair events including wheelchair basketball, wheelchair rugby, and wheelchair tennis, among other adaptive sports such as golf, road cycling/para-cycling, driving, archery and sitting volleyball. It is our hope that in accordance with the spirit of the Invictus Games that we can introduce a side of sports which many people may have only heard of or seen on the television, not just to those who are able-bodied but also for those who may have a medical condition or disability. 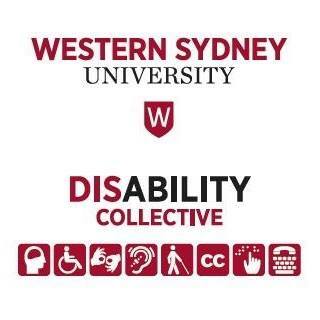 One of the mottos of Western Sydney University is “UNLIMITED”, and this most definitely includes students who may not have known their full potential and that they are not limited to what they can achieve. With the sporting facilities available at Parramatta, we will be introducing students and academics to wheelchair basketball on campus on October 11th. In addition to this, it is our hope to work with Soldier On: Supporting Our Wounded Soldiers, an organization which helps veterans and injured soldiers with rehabilitation programs and services once they have returned home. To be able to help them continue the amazing work that they do, we’re hoping to also fundraise alongside the event. We feel that it would be a wonderful way to say thank you to our return servicemen and women, and also be heavily aligned with the spirit of the Invictus Games.